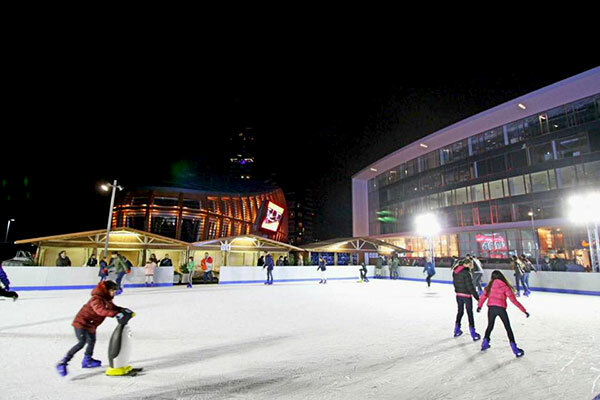 Christmas time and the whole festive season are the perfect time to enjoy the best of entertainment and leisure options Milan has to offer. From Christmas shopping to sightseeing, up to themed entertainment for kids and adults alike, as well as live shows and traditional Christmas celebrations, Where Milan has gathered to best activities to live the festive season like a local! Some of the best Christmas activities are held outdoors, so wear your favourite quilted jacket or winter wear and get ready to stroll through the city. From mid-November until January the city streets are enhanced by colourful lights, featuring greetings or themed characters varying according to the different areas of the city. Enjoy walking, instead of moving around by car, so that you make sure you can enjoy the best of Christmas lights and discover the different interpretations of Christmas district by district. 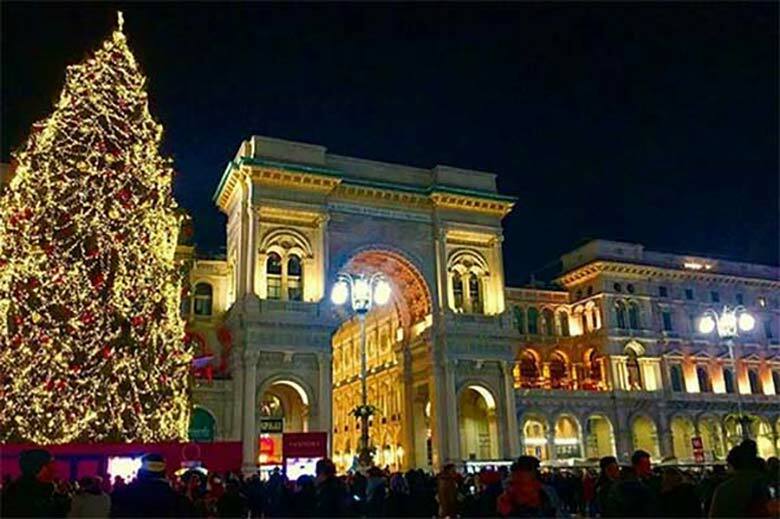 All light itineraries culminate in the massive Christmas tree which year after year embellished Duomo Square and featuring shiny decorations sponsored by important Italian and international brands changing yearly: Pandora, Swarovski and Sky are just some of the protagonists of one of the Milanese symbols of the festive season. The advent calendar acquires a brand-new meaning in Milan and is synonymous with music! Indeed, a long-tradition associates advent with live 30-minute performances held by local Jazz schools held in the building hosting Mondadori bookstore in Duomo Square. For 24 days, day by day, a new window of the building is opened revealing the musician of the day, introducing a new live concert. If you wish to share your Festive Season shots taken while strolling around the city, tag #wheremilan on Instagram and you will be reposted! The festive season in Milan is made for shopping! Besides the all-year-long collections displayed in luxury stores, boutiques and department stores, the festive season offers special collections, themed objects, accessories and souvenirs perfect to be gifted. 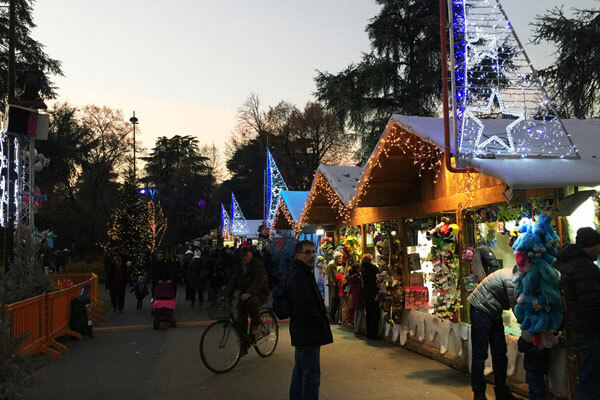 Milan features various Christmas markets scattered in different areas of the city selling from food to home decor, as well as curious ideas for a sustainable Christmas. Here, visitors all ages can take advantage of various entertainment options and get to meet Santa Claus. In case you wish to enjoy a full shopping session in search of gift ideas from top brands you can find all you’ve been looking for at the mono-brand stores in the trendiest shopping destinations in town (check them here), or even take a look at the gift guides for him, for her, for beauty, for the home decor and for tasty options selected by Where Milan’s experts. If you feel too pressed with time and wish to find all gifts in one location can enjoy some of the Milanese luxury department stores, offering a selection of top brands from different sectors, from clothing to design objects and jewellery all-in-one. Or even, in case you wish to find real bargains, visit the local designer outlets, offering the best options from top-notch labels at reduced prices. It is never too cold to enjoy a special aperitivo aboard of a boat. Even in winter you can sip your favourite cocktail accompanied with finger food while crossing the Navigli on a 60-minute journey on a boat, both along the Naviglio Pavese and Naviglio Grande. 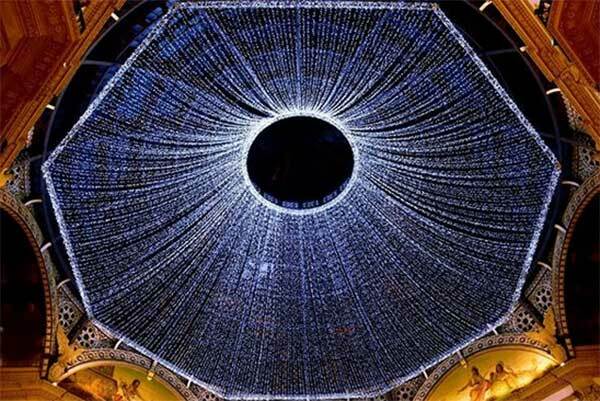 The best of the Milanese show scene never goes on holiday: the festive season, from Christmas up to New Year’s Eve and the first days of January offer a vast array of shows and live performances ranging from ballet to opera, from circus to musicals and entertainment for kids. Are Christmas markets never enough for you? It’s time to go out of town! From Switzerland to nearby cities and small villages, the surroundings of Milan boast an explosive Christmas markets scene, where you can enjoy the festive atmosphere at its best.